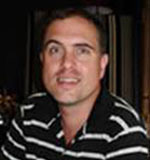 Jan-Albert Wessels has a Master’s degree in environmental management and analysis and is currently working for the department of Geography and Environmental Science at the Potchefstroom campus of the North-West University as a lecturer while completing his doctoral studies in environmental management. 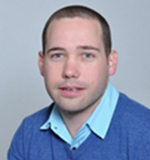 His research is focused on the value of environmental control officers in the South African integrated environmental assessment and management effort. His role as a lecturer entails the tutoring of pre graduate students in physical geography and post graduate students in hydrology and environmental management. He is also responsible for tracking environmental management development trends in national and international arenas and consulting with public and private organisations. He also supervises student dissertations on a master level and is involved in the management and presentation of the master’s degree in environmental management and analyses. 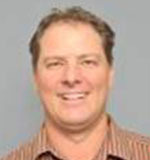 Before his appointment at the department of Geography and Environmental Science in 2010, Jan-Albert worked at the Centre for Environmental Management as an environmental manager for nine years. During this time he was involved with and managed various environmental management related projects in the public and private sector and gained significant experience in a variety of environmental related fields including; environmental law and policy development, environmental management systems, environmental auditing, environmental impact assessment and environmental enforcement. Jan-Albert has extensive training experience in the training of organisations in environmental and health related fields. He is a highly competent public speaker and has presented papers at various international and national conferences and is regularly invited to present at conferences and tertiary institutions. 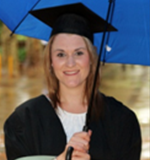 Charlotte obtained her Town and Regional Planning Degree from the North-West University (NWU) in 2009 where after she practiced as a Town planner for 3 years. She is currently busy with her Master degree in Environmental Management and employed as an Assistant Environmental Manager by Global Green Environmental Consultants. She is registered as a professional Town Planner at the South African Council for Planners and at the International Association for Impact Assessment South Africa. Since joining Global Green in 2013, Charlotte have been involved in a wide range of projects related to environmental management which include; writing of environmental management plans and programmes, section 24(G) applications, environmental impact assessments, waste licence application and water use license application. Percy Sehaole graduated at the North-West University, Potchefstroom Campus in 2009 with a B.Sc. degree in Environmental and Biological sciences with Microbiology and Biochemistry as major subjects. In 2010 she obtained my B.Sc. Honours Degree also with the North-West University. She obtained a Masters degree in Environmental Science (Microbiology) in 2012. 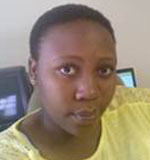 Currently she is working as an intern (Masters in Environmental Management Programme co-ordinator) for the Department of Geography and Environmental Management at the Potchefstroom campus of the North-West University. She has also enrolled for her second Masters degree in Environmental Management. She prides herself in always being open to learn new things. 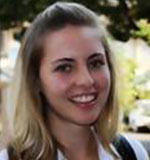 Jurie recently joined the Centre for Environmental Management in Potchefstroom and is employed as an Assistant Specialist: Environmental Management. He holds a Masters Degree in Environmental Sciences and an Honours degree in environmental management form the North-West University. He is registered at the International Association for Impact Assessment South Africa as well as a candidate natural scientist at the South African Council for Natural Scientific Professions. Since joining the CEM in 2012, Jurie has been involved in a wide range of projects related to environmental management which include; writing of environmental management plans and programmes, section 24(G) applications, environmental management frameworks and environmental impact assessments. He is also involved in course development and lecturing in courses such as introduction to environmental management and environmental impacts assessment. 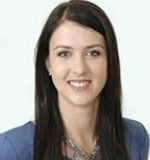 Marélie has an Honours degree in Environmental Management and Geography from the North West University. She is completing her Master’s studies in Environmental Management and is currently a Junior Environmental Practitioner at Environamics Environmental Consultants, with experience in report- and management plan writing, particularly in projects pertaining to photovoltaic solar energy. Her research interests focus on EIA report quality review.